Among Kurdish Social groups, Zazas identify themselves with different names changing from region to region. Kirmancs, Kirds, Dimili/Dumbili and Zazas. And the dialect carry the names of their different regions - Kirmanchki, Kirdki, Dimilki and Zazaki. Compared to other Kurdish dialects, their dialect alone retains characteristics from ancient languages which have been preserved through time. Zazas, although only one of the several Kurdish social groups, identify themselves by different names. The names change from region to region -Kirmancs, Kirds, Dimili/Dumbili and Zaza-, and each dialect takes the name of the regions in which they are spoken (Kirmancki, Kirdki, Dimilki and Zazaki). Unlike the other Kurdish dialects, it is Zazaki which retains characteristics from earlier languages from its history. In this article I will present, in general information about the Kurdish social group mentioned above and specifically of the Zazas. 1. In the governorate of Adıyaman the city of Adıyaman (Semsûr) and the town of Gerger (Aldûş). 2. In the governorate of Bingöl (Çewlîg) the city of Çewlîg; town of Adaklı (Azarpert), Genç (Dara Hênî), Karlıova (Kanîreş), Kıği (Gêxî), Solhan (Boglane), Yayladere (Xorxol) and Yedisu (Çêrme). 3. In the governorate of Bitlis (Bidlîs) town of Mutki (Motkan). 4. In the governorate of Diyarbakır (Dîyarbekir) the city of Diyarbakır, town of Çermik (Çêrmuge), Çınar (Çinar), Çüngüş (Şankuş), Dicle (Pîran), Eğil (Gêl), Ergani (Erxenî), Hani (Hêni), Hazro (Hezro), Kocaköy (Karaz), Kulp (Pasur) and Lice (Licê). 5. In the governorate of Elazığ (Xarpêt) the city of Elazığ, town of Karakoçan (Depe), Kovancılar (Kowancîyan), Maden (Maden), Arıcak (Mîyaran), Palu (Pali), Sivrice (Sîvrîce) and Alacakaya (Xulaman). 6. In the governerate of Erzincan (Erzingan) the city of Erzincan, town of Çayırlı (Mose), İliç (Îliç), Kemah (Kemax) and Tercan (Tecan) towns. 7. In the governorate of Erzurum (Erzirom) town of Aşkale (Aşqele), Çat (Çad), Pasinler (Hesenqele) and Hınıs (Xinûs). 9. In the governorate of Siirt (Sêrt) town of Baykan (Hewêla). 10. In the governorate of Sivas (Sêwas) town of Kangal (Qengal), Zara (Zara), Ulaş (Ulaş), İmranli (Çît) and Divriği (Dîvrîgî). 11. In the governorate of Urfa (Ruha) the town of Siverek (Sêwregi). Since the foundation of the Republic of Turkey, Kurdish identity and anything else belonging to Kurdish culture, has been banned. There is therefore no official count of the Kurdish population nor is there information about the Zaza group. Some researchers estimate, however, their population to be between three million and three and half million (4), approximately 1/4th of the whole Kurdish population. Almost all the notables (ilerigelen) of this group identify themselves as Kird or “Kirmanch” and have participated in Kurdish national movements from the beginning to the present. They have participated in the important Kurdish rebellions and resistant movements. The majority of Zaza Kurdish groups participated in the Mela Selîm Efendî uprising (1914) in Bitlis, in the Koçgiri (Qoçgirî) movement (1920), and the Azadî organization, founded by Xalit Beg of Cibran and later, the movement, under the leadership of Sheik Sait, turned into a larger Kurdish revolt in (1925), and the Dêrsim Resistance movement (1937-1938) lead by Seyith Riza. Among Kurdish Social groups, Zazas identify themselves with different names changing from region to region. Kirmanchs, Kirds, Dimili/Dumbili and Zazas. And the dialect carry the names of their different regions -Kirmanchki, Kirdki, Dimilki and Zazaki. Compared to other Kurdish dialects, their dialect alone retains characteristics from ancient languages which have been preserved through time. The main goal of these movements was to establish a Kurdish State. Ultimately, they wanted an independent Kurdistan. The intellectuals of this group played a major role in the first modern Kurdish National movement in the beginning of the 20th century. Participants were: Kurdîzade Ehmed Ramîz Beg, publisher, writer and politician from Xosor village (the Turkeyfied name is Yalımlı) in the district of Lice; Xelîl Xeyalî Efendî, linguist, writer and politician, who prepared the first Kurdish alphabet and from governorate of Bidlis, town of Motkan; Dr. Nafiz Beg, politician, and his brother, Nuredîn Zaza, writer and politician, from governorate of Xarpêt, town of Maden. Mustafa Remzî Bucak Kurdish politician and Faîq Abik Bucak from governorate of Ruha, town of Sêwregi, Dr. Şivan (Sait Kırmızıtoprak), from governorate of Dêrsim, town of Nazimiye (Qisle), Seîd Elçi from governorate of Çewlîg, are some personalities who come to minds. 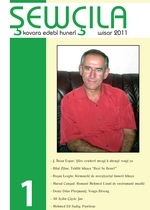 Mela Selîm Efendî, Seyid Riza, Faîq Abik Bucak, Dr. Şivan and Seîd Elçi, in the Kurdish nationalist movement, were promoted to leadership positions. The majority of people from this Kurdish group, starting from the last quarter of the 20th century continuing up to the present, actively participated in the Kurdish national movement. As mentioned before, the Kurdish dialect, Zaza, is also known by 4 other names. The majority of people who live in the Dêrsim region, Erzincan (Erzingan) and the town of Varto (Gimgim), within the governorate of Muş, belong to the Alewi faith and identify themselves as Kirmanc, and their dialect as Kirmanchki. People in the governorate of Diyarbakır, the town of Çermik (Çêrmuge), in the governorate of Urfa (Ruha) and the town of Siverek (Sêwregi), in the governorate of Adıyaman (Semsûr) the town of Gerger (Aldûş) identify themselves as Dimili and their dialect as Dimilki or Dimili. Within the concept of standardizing this group is named “Kirmanc.” The dialect they speak Kırmancish has been preferred. (7) Nevertheless, the choice of the word “Zaza” seems arbitrary, since it was easy to pronounce and sounded melodic, it became popular. A group of intellectuals trying to standardize their dialect, have preferred to call the Zazas by Kirmanch and their dialect Kirmancish. The truth is, the majority of Zazas call themselves Kird and Kirmanch, almost all of Kurdish Alewies who speak Zaza call themselves Kirmanch and their dialect Kirmancki, and the general society uses Kırmanciye names. The majority of Sunni Zaza Kurds call themselves Kird and the language they speak Kirdi or Kirdki, and their society uses Kırdane names. In many places in Kurdistan, people who identify themselves as Dimili speak the the Kurmanc dialect. Some resources even go further point out that Demıli Kurds as Kurmanch Kurds. For example, M. Reza Hamzeh’ee says that; the book “Tarix-e keşaf” dated 1265 Hicri (Muslim calendar year) 1849 (in the Gregorian Calendar), (8) by Teymur Pasha, the son of Huseyn Xan Domboli, belonged to the Oriental Institute of Bombay. 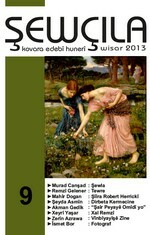 This book is about the history of Domboli Kurds. 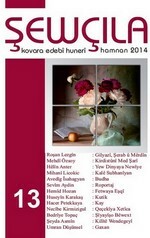 On page 267, Dombolies were identified as Kirmance Kurds. There is no doubt that among these four names, Kird and Kirmanch are ethnic names. Most probably Dimili/Dunbili/Domboli and Zaza names are the names of tribes, places or persons. M. Reza Hamzeh’ee’s book mentioned above stated that “…in addition to the documents mentioned above, Horamdinies, are crowded where Zaz both common location are called Zazayn. Most probably these were Loristan mountains which are located between Hemedan and Isfahan.” (9) It can be understood that Zaz and Zazayn are place names. In the land of Kurdistan, no place named Zaza or Dimili exists. There are regions named Dersim, Serhed, Xerzan, Behdinan, Bohtan, Berri, Hekarya, Soran, Kirmanşan, Senendej, Lekistan, Luristan, Hewraman, but there are none referring specifically to Zaza or Dimili. The derivative word Zazaistan is the result of a couple of years of production of Zaza nationalist thinking and this word is artificially being marketed. 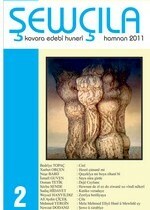 Kirmanc (Zaza) dialect, unlike other Kurdish dialects, has retained remnants of old languages. For example, in Kirmanc (Zaza) all the words, even in simple forms, retain masculine, feminine and plural forms. Adjectives and verbs are also in masculine and feminine forms. These characteristics in the Zaza dialect are similar in the Goran (Hewramish) dialect as well. In the Kurmanc dialect “golik (calf),” in simple form is pronounced “golik” but when it is used in a sentence it takes masculine, feminine and plural suffixes. These kinds of characteristics existed in languages of antiquity but disappeared as languages evolved. For example, these characteristics have totally disappeared in the Soran dialect. Despite differences in word forms, Zaza and Kurmanch dialects are very close grammatically. Because, both dialects were forbidden for a long period of time and were not used in the education system, the people who speak these dialects sometimes have a hard time understanding each other. The Kurmanchs, especially, have difficulty understanding Zazas. This difficulty exists not only between Zazas and Kurmanchs; but between one dialect with a regional accent to another region. The people who speak Zaza Kurdish with a Dêrsim accent and the people who speak with a Bingöl (Çewlîg) or People with Diyarbakir accents sometimes have a hard time understanding each other too. On the other hand, the Kurmanch of Malatya (Meletî) and the Kurmanch of Cizre (Cizîre) regions also have similar problems of not being able to understand each other. More and more of these dialects are being standardized in writing and used in publications, and speakers of these dialects, especially the educated, find that the problem has not been resolved, although there is gradual improvement. In the past several years, because of more TV broadcasts in the Soran dialect, a majority of Kurmanch and Zaza Kurds are able to understand Soran. Because the Zaza dialect was one of the forbidden dialects and had not been standardized or improved, some so-called Zaza nationalists are taking advantage and assert that Zazas are not Kurds in their publications written in Turkish. The first book written by a Zaza Kurd is by Ehmedê Xasî (1867-1951). Xasî at one time was a mufti of Lice (a religious leader). Xasî has poetically written Mewludê Kirdî (or Mewludê Nebî) and 400 copies were printed in a lithographic printing shop in Diyarbakir in 1899 under official permit. 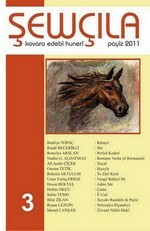 (14) This was probably the first Kurdish book published in a modern printing shop. 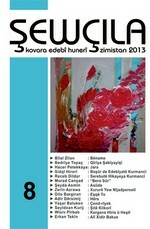 Because the Kurdish language was suppressed in Turkey for so long, there were no more publications. And, because Zaza Kurds lived only within the boundaries of Turkey, there were no publications in their dialect elsewhere. Toward the end of the 1970s, a new class of educated Kurds emerged and a new Kurdish political consciousness gained momentum. 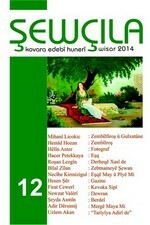 Publications began to be printed in a new Latin/Kurdish alphabet. This alphabet was originally formulated in 1931 by a commission comprised of Celadet Ali Bedirxan, Hemzeyê Miksî, Mûsa Beg, and a Kurd from Damascus, Ekrem Cemîl Paşa. 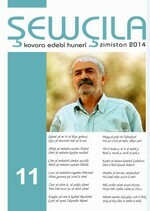 The first modern Zaza articles were written by a linguist, Mehmed Malmîsanij, and published in the Tirêj Magazine. Only three issues were published because the Turkish military coup of 12 September, 1980 took place and destroyed this momentum before circulation of publications in Kurmanch and Zaza could be achieved. Some of these Kurdish intellectuals succeeded in escaping to Europe and enjoyed a better environment conducive to continuing their writing in Kurdish. During that time, in many European countries, especially in Sweden and France, magazines and books were published. The Kurdish language was quickly standardized in already established Kurdish institutes, During the same period, Mehmed Malmîsanij’s Zaza-Turkish dictionary was among those publications. During this period of renewed momentum, the Soran, Kurmanch and Zaza dialects were merging and evolving. The written form was becoming standardized and voices for the first time were heard in Ankara and Sweden declaring that Zazas were not Kurds. Later, some Zazas in Germany followed suit. 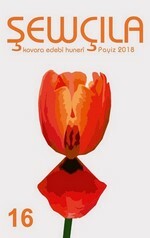 As the subject of Zazas not being Kurds was spread, the name “Kurd” was differentiated and began to mean Kurmanch only. The intent was to identify Zazas as a separate social group. These deceitful ideas are being disseminated. Since the Kurkmanch dialect alone is not “Kurdish” and the Zaza dialect is also not an accent of Kurmanch that means Zaza is not a dialect of another dialect. Like the Kurmanch, Soran, Goran and Lur dialects, the Zaza dialect is also an honored and strong dialect of Kurdish. As there are differences between Kurmanch and Soran, Kurmanch and Goran or Lur, there are also differences between Kurmanch and Zaza dialects. These kinds of dialectical differences are natural and acceptable. Natural differences between the dialects have been twisted to support the “Zazas are not Kurds” movement in the same way the differences were later used to promote the “Zazas are Turks.” To believe such a thing, there must be documented proof from the philosophical, anthropological and other fields of scientific study. 2) Vernacular or accent outside of the Dêrsim region. Alewis’ speak with a Dêrsim accent. The other accent is spoken by Sunni’s. These accents can differ from village to village and even from one house to another. The other Kurdish dialects have similar differences. This situation exists in almost all languages which have not been standardized in writing or have not been cited. This is natural for all languages, but is a handicap for the Kurdish language because of the suppression by ruling powers for almost a hundred years. 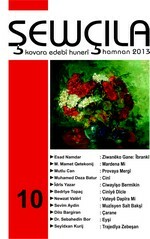 Vate Study Group (Grûba Xebate ya Vateyî) So far 38 Kurdish intellectuals from various parts of North Kurdistan (within Turkey) held 17 meetings since, 1996 two, of which were held in Diyarbekir. The participants were from Bingöl (Çewlîg), Erzincan (Erzingan), Hani (Hêni), Karakoçan (Depe), Lice (Licê), Mutki (Motkan), Palu (Pali), Dicle (Pîran), Siverek (Sêwregi)l, Solhan (Bongilane), Tunceli (Dêrsim), and Varto (Gimgim). (18) It is with limited resources, the group conducts their studies. The philosophy of the group, which they defend, is that all Kurdish dialects must be treated equally, each dialect must first be standardized from within. They believe that opportunities must be provided for all dialects equally. During the meetings they have identified Zaza dialects grammars (orthography) and named it, in Zaza, “Raştnuştişê Kirmanckî (Zazakî)”or, in English, correct writing of Kirmanch. They also prepared an orthographic guide book and a “Turkish- Kirmanchki (Zazaki)” and Kirmanchki (Zazaki)-Turkish dictionaries published three times. In 13 years of continual work, approximately 12.000 words and idioms have been identified and published in the dictionaries. The members of Vate Study Group are a kind of volunteer idealists. Once or twice a year they gather, when conditions permit, and discuss and evaluated newly identified rules of grammar. A subject is introduced in one meeting, such as “the names of professions,” and after extensive discussion and evaluation of each word, there will be agreement at the next meeting. This procedure has worked well in removing any obstructions that would occur in standardizing the Zaza dialect thus permitting it to become a written language. The majority of members of the Study Group have been writing continuously with some members having written and published more than three books. Others have significant knowledge of philosophy and literature, know Kurdish dialects, languages of neighboring countries. They support one another by editing each other’s books, published and distributing them. At one time UNESCO named Zaza a dying language but with the hard work of these devoted Study Group members, the language is reviving. (19) Yet, despite their efforts, in some circles it is as if nothing is happening and the proclamations that “Zazas are not Kurds,” or “Zazas are Turks,” resound in asymmetrical sabotage. 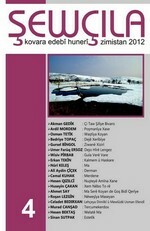 To date, 33 issues of Vate magazine have been published. Originally, issues were published in Europe and, later, when the political environment stabilized in Turkey, the last issues were published in Istanbul. Within the Vate Study Group guidelines, the Vate Publishing House was established in Istanbul in 2003. 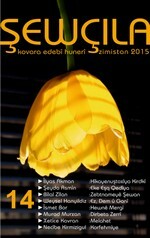 Vate Publishing House has published 44 books so far. Thirty of them were published in the Zaza dialect. (20) In addition to reviving the Zaza dialect and publishing articles and books in Zaza, the creation of the Zazaki.Net network should be included among their achievements. It started operating in August, 2009. Beside the Vate Study Group, Publishing House and the website, some other magazines and newspapers began publishing articles in the Zaza dialect The Azadiya Welat newspaper has been publishing articles in Zaza and the Kurmanch dialects since its inception. However, the articles were published with grammatical errors. At the same time, Zaza nationalists also published books and magazines, but using different alphabets. The languages they used also had grammatical errors and were difficult to understand. So far over 170 novels, short stories, poems, dictionaries, folkloric articles, children’s books, etc., on various subjects, have been written and published in the Zaza dialect. The Vate Study Gruoup has been instrumental in attracting new writers. Although they are scarce, radio and TV programs are being broadcast in Zaza. A deficiency of qualified experts in this field is responsible for the scarcity of TV and radios programs. The majority of Kurds speak Kurmanch, making up more than ¾ of the Kurdish population in Turkey. Kurmanch is represented by a plethora of experts in all fields, especially literature. 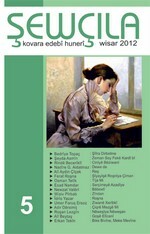 Zaza Kurds have had a dearth of writers until the last 10-15 years when they began to produce more experienced authors. Finally, if opportunities in Turkey are provided for the Kurdish, then the same opportunities should be made available for Zazas and Kurmanch in accordance with the percentage of their populations. Where Kurmanch is spoken by the majority, the language of the education system could be Kurmanch; and, where the majority speaks Zaza, the language of education could be Zaza. In addition, other Kurdish dialects could be cross-taught and preserved, which would lead to a better understanding between speakers of the different Kurdish dialects.